Join Stuhlinger, Misty, Russman, and Marlton as they fight for survival against the undead horde. The Tranzit crew, last seen in the “Buried” map, are trapped on a deeply unstable and fractured future Earth. The Call of Duty(R) Zombies miniseries delves into these characters’ backstories, providing a crucial piece of the Zombies puzzle. See what happens between the maps as the Tranzit crew fights to escape Maxis’ apocalyptic wasteland. The Call of Duty (R) Zombies comics show crucial never-before-seen moments in the Zombies timeline! Covers by superstar artist Simon Bisley! Hiznobyuti is a fun and inspirational story, yet there are poignant parts as well. The book is about the boy called Hiznobyuti who was born differently from his family because of his facial feature. 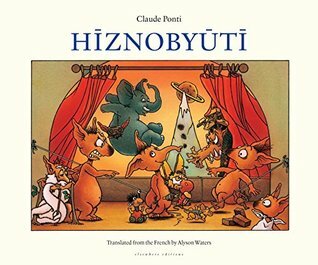 The first part of the story when Hiznobyuti’s family was not treating him was really upsetting. The most heartbreaking part was when his father have decided to put bricks under the sink where Hiznobyuti stays. The story teaches young kids and reminds adults to be courageous, forbearing, kind, persevering, compassionate and most especially, to be forgiving. Despite what HIsnobyuti’s family did to him in the past, he learnt to forgive, and even love and took care of them in the end.